You don’t need much. Just a comfy place to rest your head at the end of a day and a nice, clean bathroom. And maybe a few little things like a TV so you don’t miss the game on Sunday. Really. You don’t need much. 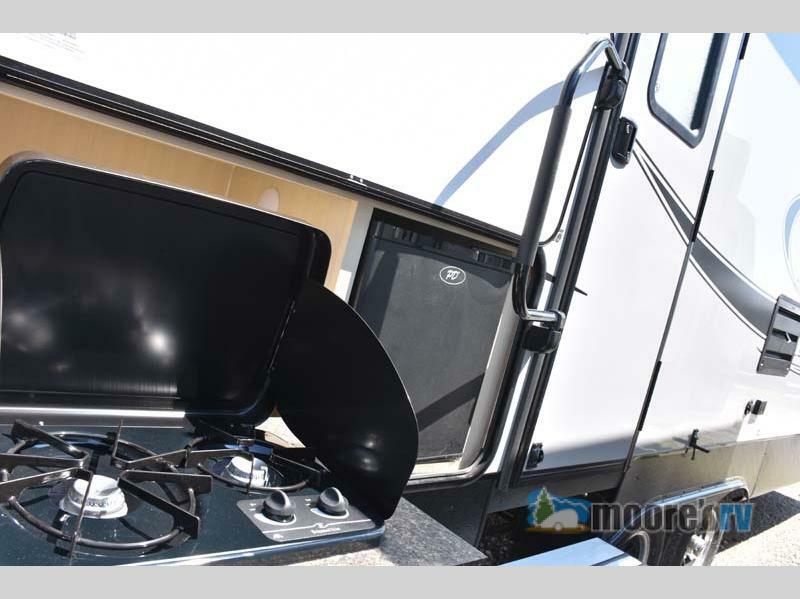 Introducing the Winnebago Ultralite travel trailer for sale. It has everything you need, and some of what you want. Here are 3 reasons why it’s the perfect small trailer for you. Check out this great answer to the perfect small trailer. 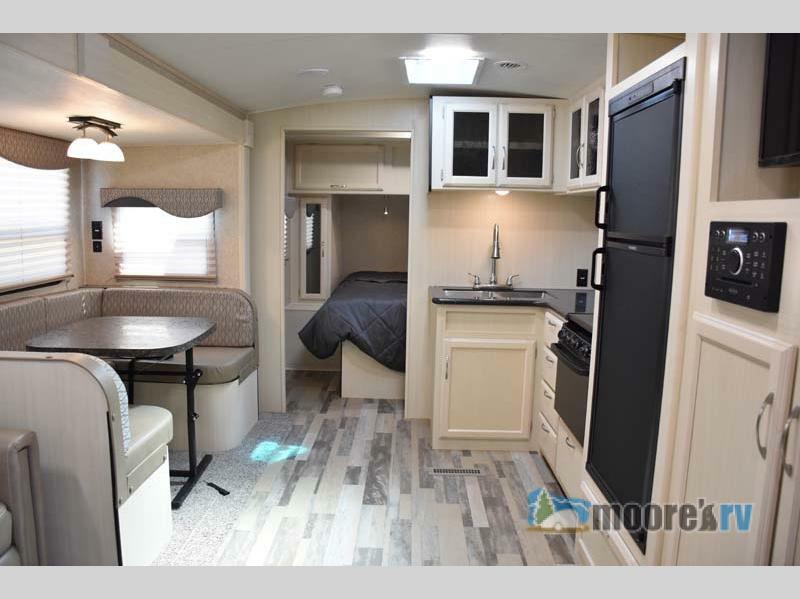 Whether your family are your children, grandchildren or a few really awesome friends, you will have room for them in the Winnebago Ultralite travel trailer. 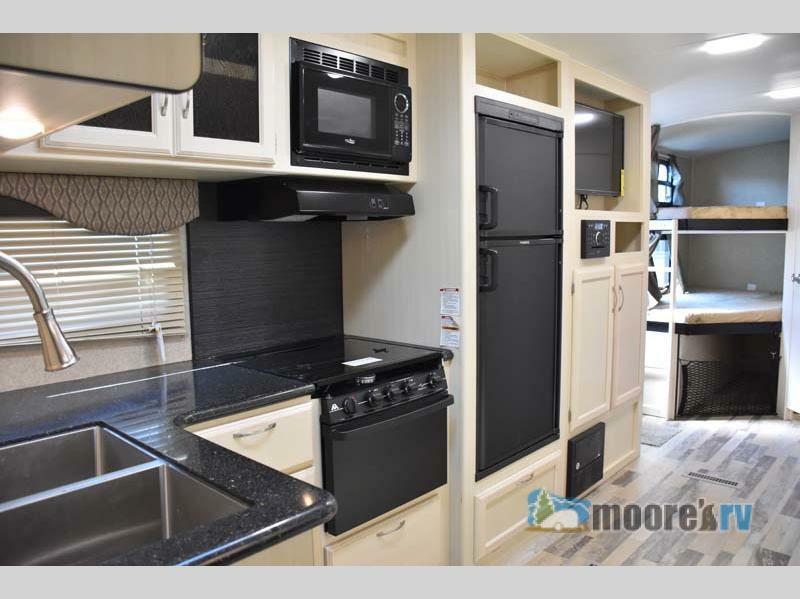 The spacious interior has great features like a u-shaped banquette for sharing meals or a great game night. There are comfortable sleeping options that even include a double size bunk beds. And the space! 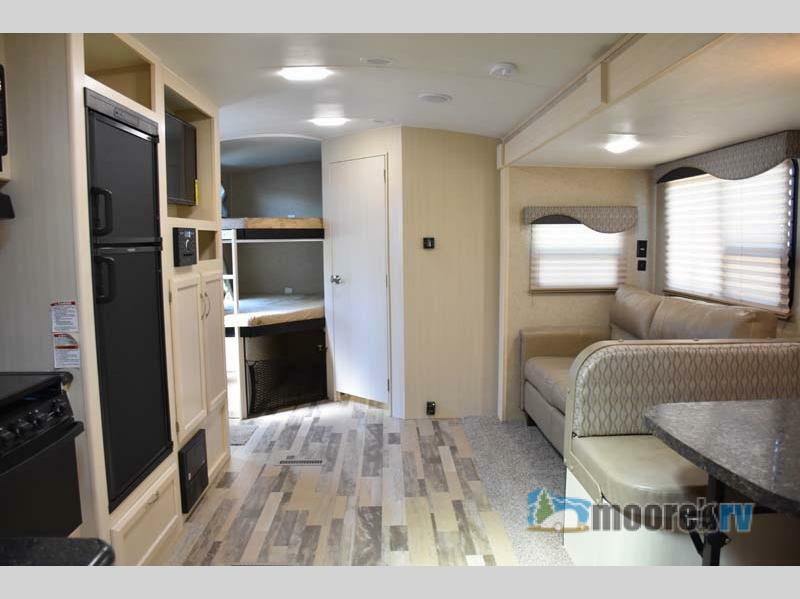 The slide offers more walk around space and provides space for the comfy couch and the dinette. Oh, and it offers great views of the entertainment center so you don’t miss a scene from your favorite movie! The hang out space in this camper is second to none. Three burner range with oven. L-shaped counter space for prep. Double sink for easy clean up. Now that you’ve been amazed by the indoor kitchen, what about the outdoor kitchen? The outdoor kitchen is a great addition to cooking over the campfire or the grill. There is a pullout cook top with a small refrigerator and a small counter top area. This area is sure to make your barbecue a success! This kitchen is sure to please the chef on your next trip. This outdoor kitchen is crucial to a successful barbecue. You love your family and friends. And you love making new friends. Sometimes on a trip, you need a little privacy, even from the loved ones. And those new friends? You prefer not to meet them while sharing a public bathroom. The Winnebago Ultralite travel trailer has the answer to both of these challenges. When it’s time to retire for the evening and have some time to yourself, head to the private bedroom. In the master bedroom you will find a walk-around queen bed, dual nightstands and wardrobes, plus an additional storage above the head of the bed. The bathroom has a shower, linen storage, toilet, and a vanity with sink plus a medicine cabinet. Space for family and quiet time. It’s perfect. Everything you need and extras you want. And it can be towed by a vehicle you probably already own! (Yet another bonus.) Your family and friends can enjoy the Winnebago Ultralite travel trailer, but it also makes a great couple’s trailer. 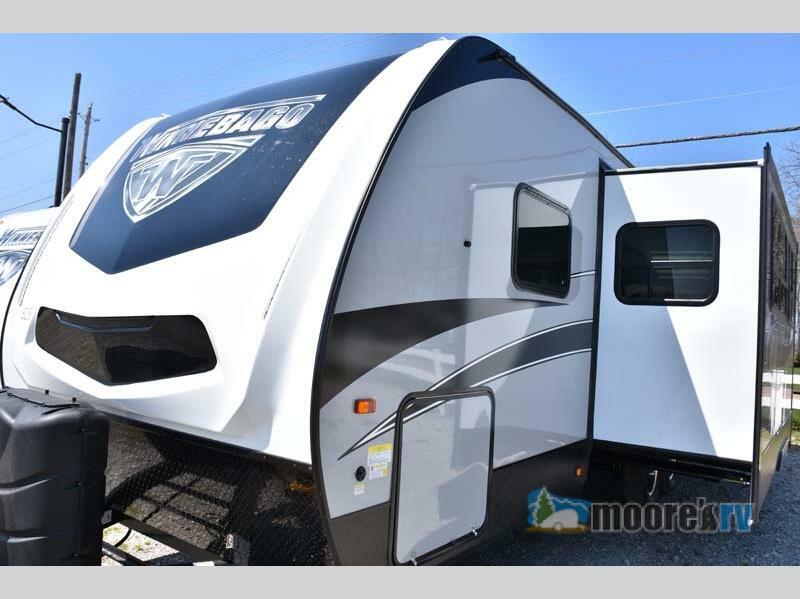 Whatever you need, Moore’s RV dealer has the ultralite for you. Contact us today and our friendly staff will get you on the road to adventure.